When you have been in an auto accident, you are understandably concerned with any injuries, with property damage and with future issues. What you may not think to ask is whether the other driver is on the job at the time. The reason that it may matter is that Florida honors a doctrine called respondeat superior, also called vicarious liability. 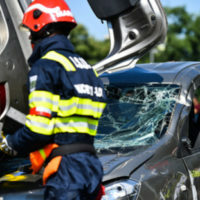 If you are involved in an accident with someone who was working at the time, you may be able to bring suit against not only the driver, but also their employer, which can increase your chances of recovery. Vicarious liability is a common-law doctrine dating back to the very foundations of English law, which later became the basis of U.S. law. This means that while there is no specific statute, the procedure and the observance are simply understood and used, unless specifically abolished or restricted by statute. In Florida, there have been restrictions put upon the reach of vicarious liability – for example, the Florida Supreme Court held that rental car leasing firms and agents cannot be held responsible for accidents in their short-term rented vehicles that they did not cause – but the doctrine itself is still in use. If an employee can be found to have acted within the scope of their employment, the employer can be held liable in most situations, under Florida law. However, it is important to keep in mind that vicarious liability as a doctrine only deals with the possibility of employer liability – even if an employee is found not to have acted within the scope of their employment, they can still be sued as an individual if you believe that you can show their liability in causing your injuries. If this occurs, you would bring suit against them as in any other negligence case – proving the existence of a duty, the breach of that duty, causation of the accident and harm suffered. Be advised, though, that if you are able to bring suit against both employer and employee, there is what the law calls a right of contribution. This is relevant to you as the plaintiff because more often than not, what winds up happening in such cases is that the plaintiff is able to obtain the entire amount of the verdict from one tortfeasor (usually the employer), but only if the tortfeasors are held to be jointly and severally liable, which is not always the case. Joint and several liability has been abolished in most causes of action in Florida, but specific exceptions have been made for incidents where law specifically exists permitting the practice. Auto accidents are common, but accidents involving an employer and employee are much less common. If you have been involved in such an accident, contacting an attorney is a good first step. The Winter Park auto accident attorneys at the Hornsby Law Group are happy to try and help you determine where to take your case. Call us today to set up an appointment.